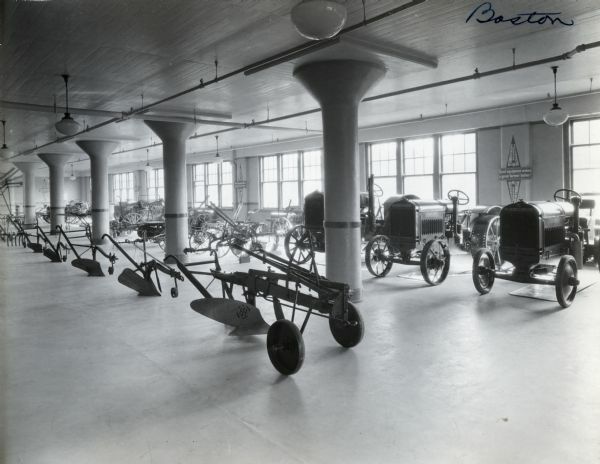 McCormick-Deering tractors, plows, and other agricultural implements are arranged on display in a showroom. A sign advertising cream separators hangs on the wall, reading "McCormick-Deering Primrose Separators. Good equipment makes a good farmer better."